NEW YORK--(BUSINESS WIRE)--‘Tis the season to Shop Small®! On main streets across America, small businesses are getting ready to welcome customers on Small Business Saturday, celebrated this year on November 25th. Results from the 2017 Small Business Saturday Consumer Insights Survey, released today by the National Federation of Independent Businesses (NFIB) and American Express (NYSE: AXP), show six in ten (61%) U.S. consumers are aware of Small Business Saturday going into the day, and of those, 82% plan to shop at a small, independently-owned retailer or dine at a small, independently-owned restaurant on the day. Created by American Express in 2010 as a way to help small businesses get more customers, Small Business Saturday is held annually on the Saturday following Thanksgiving. Now entering its eighth year, the day is embraced by independent merchants of all kinds—from traditional brick and mortar retailers to service providers to e-commerce businesses. And as consumer shopping habits continue to evolve, they are prioritizing small businesses – even those online: the report found that 59% of consumers said they are likely to seek out a small, independently-owned retailer when shopping online on Small Business Saturday. Among those who are aware and who plan to shop on Small Business Saturday this year, 65% say the main reason they will support local, independently-owned retailers and restaurants is because they value the contributions small businesses make to their community. For those who are aware and who plan to shop on Small Business Saturday, 44% plan to spend more this year compared to last year. Local support for Small Business Saturday is largely driven by Neighborhood Champions: small businesses, business associations, local Chambers of Commerce and other community organizers who help energize their neighborhoods on the day. To date, more than 7,200 Neighborhood Champions have signed up to plan activities and events to draw shoppers to small businesses across the U.S., leading up to and on Small Business Saturday. Click here to find Neighborhood Champions near you. Small business owners can also find event inspiration and create customizable Small Business Saturday marketing materials to rally their communities at ShopSmall.com. Another important group that drives participation on the day is the Small Business Saturday Coalition. Led by Women Impacting Public Policy (WIPP), the Small Business Saturday Coalition was created in 2011 to help amplify the Shop Small message. The Coalition is comprised of national, state and local associations that help coordinate Small Business Saturday activities with merchants, consumers, small business owners and public officials in every state across the country. Consumers have made it a tradition each year to share their love for Small Business Saturday on social media, and all are encouraged to show off their favorite independently-owned businesses by using #ShopSmall and #SmallBizSat on Facebook, Instagram and Twitter. This year, American Express is also encouraging consumers to RSVP on Facebook here for reminders about the nationwide celebration to Shop Small this November 25th. To discover and share the impact shopping small has in your state, visit: www.shopsmall.com/mystate. 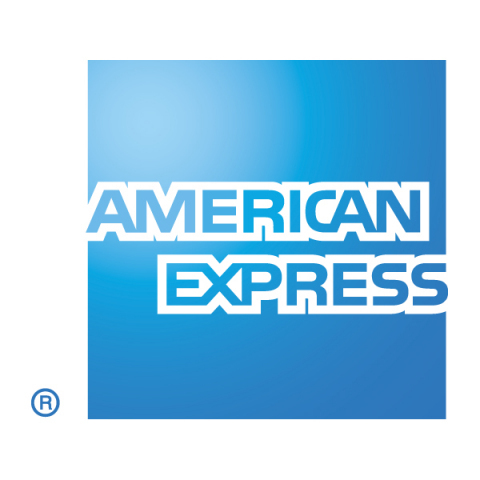 To help drive excitement for Small Business Saturday, American Express has enlisted the support of many companies that are serving as Corporate Supporters. Together these companies reach millions of small businesses and consumers and are key players in the e-commerce, retail, telecom, media, hospitality, transportation, and professional services industries. FedEx is among the medium and large-sized companies that will be participating. The company is shipping Shop Small merchandise kits to Neighborhood Champions and small businesses across the country free of charge, and printing select materials in the kit at no cost through FedEx Office. Grubhub is helping restaurants stand out, deliver memorable experiences and optimize online offerings on Small Business Saturday. Additionally, Etsy, Ace Hardware, FTD, Square and Liberty Mutual Insurance are lending their support to the day. The Small Business Saturday Consumer Insights Survey was conducted by Teneo among a nationally representative sample of 1741 males and females 18 years of age or older. The sample was collected using an email invitation and an anonymous online survey from October 16-27, 2017. The survey has an overall margin of error of +/- 2.3%, at the 95% level of confidence. The survey was commissioned by American Express and the National Federation of Independent Businesses (NFIB). November 25th is the eighth annual Small Business Saturday. Dedicated to supporting the diverse range of local businesses that create jobs, help boost the economy, and enhance neighborhoods around the country, Small Business Saturday was created by American Express in 2010 in response to small business owners’ most pressing need: getting more customers. Learn more at and connect with us on ShopSmall.com, instagram.com/shopsmall, facebook.com/SmallBusinessSaturday. NFIB is the nation’s leading small business association, with offices in Washington, D.C., and all 50 states. Founded in 1943 as a nonprofit, nonpartisan organization, NFIB gives small and independent business owners a voice in shaping the public policy issues that affect their business. NFIB’s powerful network of grassroots activists sends their views directly to state and federal lawmakers through its unique member-only ballot, thus playing a critical role in supporting America’s free enterprise system. NFIB’s mission is to promote and protect the right of its members to own, operate and grow their businesses. More information about NFIB is available online at www.NFIB.com/news.